The blurb of this book suggests it is about leading, managing and delivering integrated care, but it could be applied to any kind of change in healthcare services. 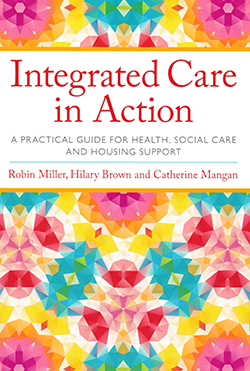 After an introduction to integrated care services, it provides an overview of instigating change in healthcare, including the role of professionals and service users, and of evaluation processes. Although the book is easy to read, the constant use of bullet-point lists can make it seem dry. However, the examples provide valuable illustrations and welcome intermissions. This is not a book every nurse would enjoy given that it focuses on managers’ perspectives, but libraries could hold copies for those exploring integrated care services and/or management and leadership. I also recommend it to ward sisters, ward managers and specialist nurses.